For many people, getting that particular call where they find out their loved one or friend or a family member has been arrested, it’s overwhelming and quite scary, they can get very concerned and might panic and feel embarrassed of having to take care of such annoying and sad process. Clearly, all they want is to get that particular person out of jail as fast as they can since we all know being in jail can be a quite unpleasant experience for many reasons. The vast majority of times, you can bail that person out of jail without any problem. Statistics show us that an estimated 95% of arrested individuals are eligible to be discharged by posting a bail through a South Gate Bail Bond. However, there are some other situations where a defendant might be denied bail and has to wait under arrest until the time of their trial arrives. The judge or prosecutor will always consider the unique and specific circumstances of each case of course, but there are some instances where we can have an idea already of what’s most likely to happen. 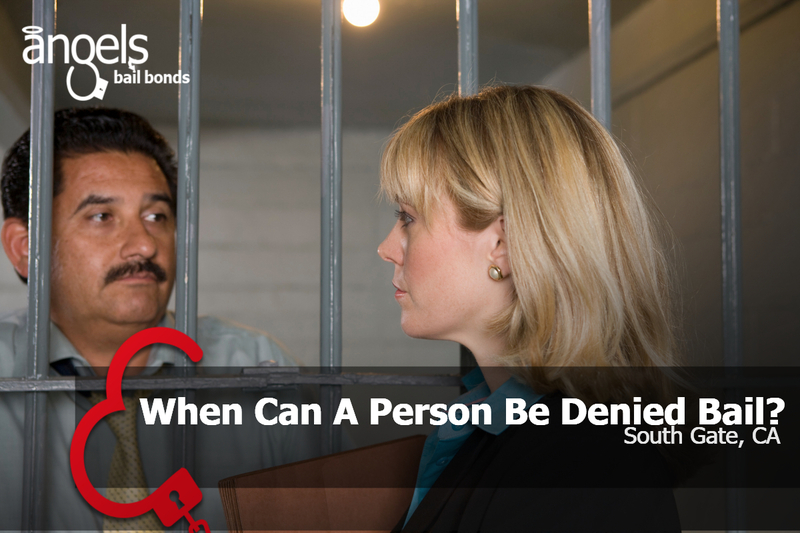 Here we show you the top 5 reasons why a person might be denied bail if they are arrested. If an inmate has some history of not showing up to their court hearing dates in the past, the judge has little to no reason to believe that the current event will be any different from the others. On the other hand, if the offender has a hostile and antagonistic attitude or the judge has solid reasons to think that the defendant won’t appear at their court hearings, they may sense that the person is much likely to flee and will probably deny bail to avoid this from happening. 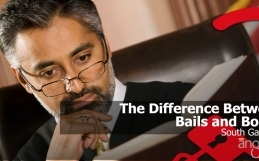 When it comes to federal level crimes such as murder, espionage or even tax evasion, the defendant is more likely to have a remarkably high bail (almost unpayable), or their bail might be denied downright. One of the central reasons this might happen is because they may be at risk of getting the death penalty sentence. As a consequence of this, individuals who are arrested for severe crimes tend to be much more motivated to skip court and run away in case they were to be released. Courts have little to no compassion or sympathy for individuals who are repeat offenders. The critical issue here is that they were allowed to go back again into society on probation or parole and then they still decided to go the wrong way and commit another crime. This situation applies in particular if the offender was under someone’s surveillance or was let go into someone else’s custody. Since the individual decided to abuse their freedom instead of correcting his steps, the judge is likely to keep them in jail by issuing a no-bail hold. This type of event is something we have encountered with some of our South Gate bail bonds clients. If a non-US citizen perpetrates a crime, several times the court will use that person’s immigration status into consideration for the case. The reason why is because no matter what type of offense they are accused of, that person is more likely to skip out court hearings and go back to their country of origin escaping from law rather than showing up for their court hearings. Also, if the court believes that the arrested individual is in the United States without the required documentation, they will possibly have an ICE (Immigration and Customs Enforcement) hold ordered on them. Finally, judges need to put in consideration for the sake of the case, the potential risks and consequences of letting them out with bail and what might actually happen in case the defendant is released into society. They are more likely to deny bail if they strongly believe the individual will be dangerous if not kept locked up in jail. Mainly if the individual has been accused of charges concerning a violent offense, the court can see them as much more likely to harm their own victims, eyewitnesses, people related to the case or any other member of the general public or community while they are out on bail.